Is female friendship really so complicated? Laura Cooper, lately featured at Lithub, returns to Bacon today with her latest thought-provoking piece on the myths that surround us in life and literature. From Laura: There’s been a run on major literary fiction about women and fraught friendship. Just in the past year or so – and just counting my own stack – there’s been Dana Spiotta’s Innocents and Others (lifelong women friends compete as filmmakers), Claire Messud’s The Woman Upstairs (women friends compete as post-modern visual artists), and, of course, Elena Ferrante’s Neopolitan Quartet (lifelong women friends compete as lovers, professionals, and activists). Now comes Swing Time, Zadie Smith’s new novel about lifelong women friends who compete over, well, everything: dance, at first, but also family, skin color, life purpose, love, and joy. scheduled [Aimee’s] abortions, hired dog walkers, ordered flowers, wrote Mother’s Day cards, applied creams, administered injections, squeezed spots, wiped very occasional breakup tears, and so on. Our narrator is assigned various tasks on-site in the West African village, where she embeds herself in the community of women (and two remarkable men) who keep the village and the school project alive – who grow, harvest, store and cook the food, clean and maintain the communal homes, and care for and teach the many children (of many absent fathers) who crawl, scamper, work, and haphazardly study within the extended-family compounds. The school gets built, with fanfare, military salutes, drumming mothers in heritage dress, and – worryingly – with the menacing cooperation of a kleptocratic dictator “President,” and the looming threat of a radical Islamic resistance. I’m not spoiling anything to note it’s all built to end in tears. At the same time, Swing Time follows the life of the narrator’s friend Tracey, a girl from the same poor North London neighborhood. The two girls meet one Saturday morning in 1982, walking in to register for community dance lessons at a local church. Tracey is also black, but glamorous – her face “perky and round, a darker Shirley Temple” “with spiral curls [that] reached to her backside and were gathered into two long plaits… tied at their ends with satin yellow bows.” Her mother is white, unpolished, but ambitious for Tracey’s dance future. Her father is black, the largely absent (and when present, violent) Louie, who Tracey swears is a backup dancer for Michael Jackson, and thus the source of her outsized talent. Tracey does have talent, and works hard, and before long she diverts out of the neighborhood’s dismal public schools and into stage school, where she trains to dance in London’s West End theatres, and picks up the habit of dead-end grifting boyfriends. Does she succeed beyond early sub-lead roles in musical revivals and provincial tours? That would be a spoiler. Swing Time centers on the fraught lifelong friendship between our narrator and Tracey (both in itself and as it shapes the narrator’s relationship with her boss, Aimee). They weave in and out of each other’s lives, close but then more distant as time flows on. Always intense, their friendship grows more deeply conflicted and combative as they approach adolescence, the crises in their shared life growing more bizarre and painful as they age from 10-year-olds, outsiders at an excruciating white-middle-class birthday party, to young adults facing the truth of their own parents’ pathetic, awkward sexuality, and beyond to their own adult realities, their divergent paths. Tracey, in particular and throughout, behaves in ways that seem designed to shatter and shame our narrator’s loyalty, behavior that grows ever more pointed and hostile, until her unmodulated rage, a life’s worth of frustration, boils over into a campaign of email harassment against the narrator’s mother – still Tracey’s MP. And one perfect, obliterating grenade aimed at the narrator, Tracey’s oldest friend. Swing Time places this friendship – unsatisfying at best, destructive at last – alongside the narrator’s relationship with Aimee – lopsided at best, exploitive at last – and contrasts them both against the apparently deeper, more reliable web of commitment and trust that sustains the community of women in the West African village. Unlike the single mothers of the narrator’s North London housing project, stranded alone with their children in dilapidated apartment bunkers, trapped inside a hostile, joyless danger zone – and unlike Aimee, a lone mega-brand with a staff instead of family, her children mostly seen for photo ops and PR stunts – the village women work and support each other and everyone’s children. They’re constantly carrying or feeding or washing another woman’s baby, dancing and singing together with every woman’s child. With the narrator, the reader is led to question whether the modern Western model – individual women struggling for an independent life – is really progress. This could easily veer off into two-dimensional nostalgia, an elegy for a lost (or imagined) land-centered, simpler life of love and family untainted by modern individualism and the lonely, materialist greed it feeds. Thank goodness, it does not. There’s no hiding the fact that the rural West African women suffer, and they know it. The most prominent village character, a soulful young woman who becomes the narrator’s guide to village life, makes what even she admits is a desperate bid to escape the constant grinding work and sacrifice of self to sustain the larger group. In fact, anyone who can, leaves (including almost all the men, though to what alternative – other than fundamentalist Islam – remains obscure). It’s a bleak picture. 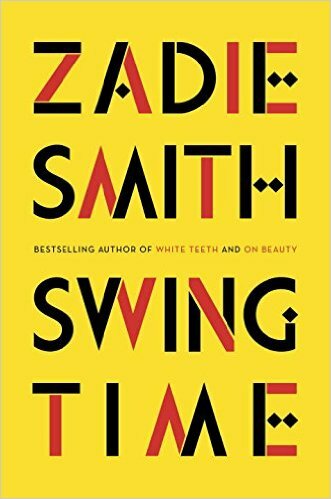 And whatever else Zadie Smith means to say about which paths let women live most fully, Swing Time takes a dark view of women’s friendship in this world: competitive, grudge-driven, prone to ambush and betrayal. Unreliable, mercurial. A minefield. Love and admiration might draw you in, but you can’t count on reciprocal devotion. As in Innocents and Others and The Woman Upstairs, your most meaningful friendship might just be your undoing. Like those horror movies where the heroine learns slowly, terrifyingly, that her dream house is haunted, and out to destroy her. The narrator’s mother is not in any way a model mother. She’s impatient with daily family life, and irritably protective of her time for reading and study: to come home early and interrupt her was to be a “vandal in the temple.” She was, the narrator knew even as a child, “in the process of becoming, or trying to become, ‘an intellectual,’ . . . liked to wear a beret, frequently used the phrase ‘Angel of History,’ sighed when the rest of the family wanted to watch Saturday night telly and stopped to argue with the Trotskyites on the Kilburn High Road.” She outlawed dolls, shirked her share of housework, then parried her husband’s complaints by lecturing him on “the importance of having a revolutionary consciousness… or the legacy of slavery in the hearts and minds of the young.” She was, in short, self-absorbed, infuriating and largely unaccommodating. Oh, it’s very nice and rational and respectable to say that a woman has every right to her life, to her ambitions, to her needs, and so on… but as a child, no, the truth is it’s a war of attrition,… all you want from your mother is that she once and for all admit that she is your mother and only your mother, and that her battle with the rest of life is over. She has to lay down arms and come to you. And if she doesn’t do it, then it’s really a war…. My earliest sense of her was of a woman plotting an escape, from me, from the very role of motherhood. hectoring teachers, ignoring all attempts on their part to discuss [the narrator’s] progress, instead giving a series of impromptu lectures about the incompetence of the school administration, the blindness and the stupidity of the local council, the desperate need for “teachers of color.” Those poor teachers clutched the sides of their desks for dear life…. How wonderful she looked, like a queen! Yet, from all this intensity, from this un-peaceful home, comes the narrator’s one true friendship with another adult: her mother remains her one constant ally, who never works against her. The one character who is always (enragingly) truthful about what she knows and what she sees. She’s the only one who calls the narrator’s college “’a trumped-up hotel,’ not a university at all, nothing but a student-loan trap for kids who didn’t know any better.” And she’s the only one who names the narrator’s work with Aimee for what it is: self-killing servitude in a modern plantation. This mother is distracted and ambitious, and she doesn’t always pay attention when she should, but her basic stance towards the narrator is constant and true; undramatically on her side. It’s a friendship among women – daughter and mother – based on a fundamental seamlessness between them, a baseline understanding that they are simply bound up together. There’s a givenness to the fact that their lives are interwoven. Un-peaceful, conflicted, often at odds, largely frustrating: none of that affects the fundamental truth of their relationship to each other, difficult or not, as time goes by. Swing Time could be read as drawing a distinction between family – where this kind of seamless friendship is not just possible but routine (the drive, even, behind everyone’s preoccupation with babies) – and non-family, where friendships between women must be built of different materials, on different specs. As in Innocents and Others and The Woman Upstairs, Swing Time suggests the friendships that matter, that compel our closest attention, are those that are built from competition and the thrilling risk of betrayal: if we haven’t had to work hard to earn it and preserve it, it’s not one of the greats. Friendship is a project, a crusade, a fraught pilgrimage. But I think that’s a myth. Of all the friendships Swing Time sets out to explore, the most fascinating, and the one most true to me, is the one ticking along under that mother-daughter trope: the seamless inevitability of two women, in life together. Hard but simple. Hard but simple is hard to express. So in the holiday spirit, I offer this song to express it for me: “Julep,” by the Punch Brothers, with the mandolin virtuoso Chris Thile. Enjoy! Great post!!! Enjoyed this so much this morning. It is easy to a be a friend of Laura’s whether you are male or female. Thanks for this literary escape. Love this Laura. Thank you! Terrific, Laura. SWING TIME was already on my Xmas reading list; now it’s on the top of the pile. Feliz Navidad.